Home » executive-skills » parenting » What Is Executive Function and Why Is It Important? 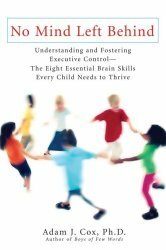 What Is Executive Function and Why Is It Important? As my daughter gets older, I focus more on helping her develop her “executive function”. No, it’s not the ability to become an executive. I plan to share a series of posts on this blog to share more information on specific skills that preteens and teens need to exercise and to move from conscious effort to subconscious habit. We, as parents and caregivers, can help them be more successful on this difficult journey of growing more mature and independent. 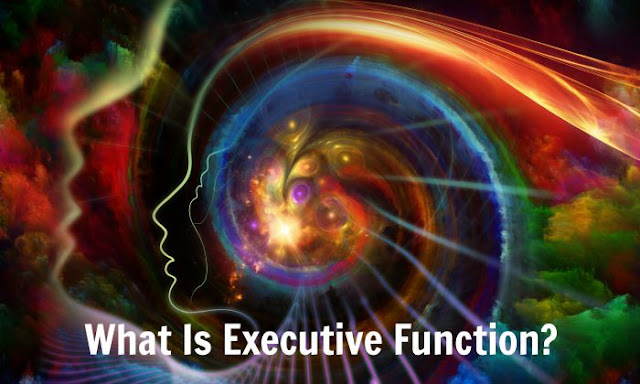 Before we dive into details, let’s first define what executive function is. There are kids who are self-directed learners and doers even at early age. Smarty, however, is a daydreamer. She usually has big plans on what she might be doing, but she fails to execute on them. On weekends and summer days, she can spend hours reading while absent-mindedly shredding paper with her hands. Picking up her room can take ages, because she will stop to play or to read. On the other hand, her best friend has the hardest time with change in plans while some of her classmates struggle with following multi-step direction. All these "quirks" are signs of executive function deficits that all of us have. As we grow into adulthood, some of us learn strategies for compensating for our weaknesses, and some take the wrong turns in the life journey, especially when the difficulty resides in self-control areas. When Smarty was still fairly young, I saw a title in the library called Smart but Scattered. I had to laugh, because the title of the book described Smarty so well. 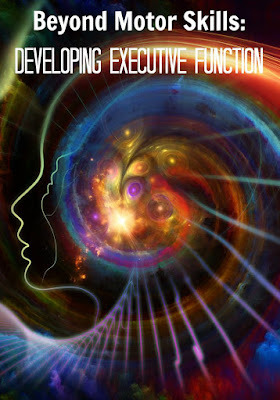 That was the first time when I was introduced to the concept of Executive Function – a set of mental processes that enables us to plan, focus attention, remember instructions, and juggle multiple tasks successfully. Since then I read more on executive function and started to wrap my mind around this concept. All executive function skills are integrated, but there are three major areas – mental flexibility, working memory, and self control. The interesting part is that executive function is growing rapidly in preteen years, as shown in this picture, so we, parents and caregivers of older kids, need to help our children to develop and exercise these mental skills just as we helped our younger kids to develop and exercise their gross and fine motor skills. Since Smarty is approaching 9 now, I feel that it’s time for us to focus on the areas where she is not as strong as in others – specifically in the areas of self control. Adam J. Cox also has a good checklist that parents can use to see whether their children are average or “lagging” in one of these areas. Smart and Scattered has an even better test where parents can first see their own strengths and weaknesses (in somewhat different dimensions) and then see if their kids have the same or different pattern in their problem areas. When I expand the series, I will explain how we apply advice from these books in practice at home, since ability to use strength in specific skills and ability to compensate for weaknesses are rather important in raising independent and capable adults. Looking at the list above, can you immediately see your strengths and your weaknesses? For me, for example, flexible thinking is a strength, and organization is a weakness. Follow my Parenting Pinterest board. This is what we work on the most in our homeschool! Now I must read this book. My kids aren't scattered, but they can be easily overwhelmed. Executive function is really important, and we all have areas we need to work on! Thank you! Smart but Scattered wasn't available in our library system, but No Mind Left Behind was. I started reading it yesterday and it has been all sorts of enlightening! So far my only issue is in doing an evaluation on our girls. I'm afraid I don't have much experience on what is "normal" for their age groups. For some reason we seem to be surrounded by kids that are either much older, or much younger, or that also have what appears to be considered as "special needs". I'm just so happy that I have some help finding where to focus with my children to help them.